Assuming you haven’t been living under a rock for the last two decades, you’ve heard of CrossFit. As a potential CrossFit athlete, it can be pretty daunting to know where to start. Thankfully, we’ve put together this guide to give you all the information you need as a beginning CrossFitter! As a young gymnast, long before he founded CrossFit in 2000, Greg Glassman had the simple desire to become a better, more well-rounded athlete. He began adding on to the body weight-centric exercises of his gymnastics training, using more free weights, and he implemented more cardio in his workouts. He’d become stronger and faster than other gymnasts, and he was more agile and flexible than the average serious runner, cyclist, or bodybuilder. He may not be the best gymnast in the world, or the strongest bodybuilder—but beyond professional competition in those sports, he wondered what the cost benefit was of pigeonholing athletic effort into one discipline versus seeking balance. The results he witnessed, along with his new considerations, formed the basis for what later became CrossFit. CrossFit was borne out of a desire to challenge the status quo of athleticism. In CrossFit, specialized abilities take a back seat to general physical preparedness, and this preparedness is achieved by mastering a wide range of movements. For example, an NFL offensive lineman needs a very specific diet and workout regimen in order to maintain a high functional weight, and the strength to create lanes for a play to develop while keeping defenders from stopping it. It’s likely that some tenets of CrossFit workouts would be beneficial to an offensive lineman, but exclusively doing CrossFit workouts would not allow that player to perform. CrossFit understands this, and while it has become a major piece of training in many sports, it has truly become its own sport: The Sport of Fitness. These qualities are refined through movements that span various athletic realms, such as weightlifting, circuit training and gymnastics. CrossFit believes that constantly varying movements helps athletes overcome common plateaus that are prevalent in more one-dimensional athletic disciplines, and it also enhances overall physical preparedness. Most importantly, while most athletic disciplines stop at marginally linking exercise to health, CrossFit sees health and a better, more effective life as one of its primary focuses. In order to ensure that athletes are always pushing themselves to achieve results, CrossFit puts a major focus on its challenging workouts being repeatable and measurable. It’s important for athletes to be aware of the specific weights they are lifting, the distances they are covering in cardio workouts and which movements they are employing at which times in a workout. This makes it crucial for gyms to have effective gym management software that allows coaches to design and personalize workouts for their athletes, and athletes to log their results. While most CrossFit workouts come in three or four parts, a dynamic warm up, skills and strength work, WOD, and a cool down, the WOD is really the meat of the workout, and will be both the most challenging and the most important piece. A WOD, also known as “workout of the day” is a coach-designed series of exercises in which every athlete needs to finish a certain amount of reps in each exercise in a particular amount of time. In some cases, WODs may be designed with a set time limit for each athlete to complete as many reps as possible. These results are then logged, and coaches work with athletes to consistently work on skills and movements that will contribute to improvement over the course of time. The design of CrossFit gyms, referred to as “Boxes” by most CrossFitters, is in line with the philosophy behind CrossFit. CrossFit isn’t about aesthetics, it’s about substance. It puts effectiveness and growth above luxury and looks. For this reason, most CrossFit boxes are pretty bare bones, and are often located in large warehouse-like spaces. Make no mistake, many boxes have state-of-the-art equipment, but you won’t find the flashy machines and hundreds of TV screens that you would find at a commercial gym. As we described earlier, if you’re an athlete who relies on a specialized workout regimen to excel at a particular sport, then CrossFit may only serve a marginal role, or none at all, in your fitness program. Community is ingrained in CrossFit’s philosophy, and all good CrossFit gyms have great communities of like-minded individuals that will help you succeed. In CrossFit, everybody is learning at all times, and whether you are a serious competitor at the CrossFit Games or a newcomer to the world of functional fitness, you will be welcomed with open arms. Obviously, it depends what your goals are, but if you go to the gym every day and casually jog a mile on the treadmill, followed by lifting whatever weights you feel like lifting that day, the results will be limited. You won’t be able to accurately track the results of your workouts and map out your growth as an athlete. You will be more subject to plateaus from a lack of variance in movement and intensity. And your body will grow used to your workouts, making them easier, and not really workouts at all. CrossFit is about functional fitness, but it also jumps into the realm of nutrition and motivation. If you truly want to become healthier and improve your physical preparedness, it’s a no brainer. Just like anything in life, too much of a good thing can turn into a bad thing. That applies to CrossFit too. By nature of what it is, an intense fitness program with very challenging workouts, CrossFit attracts people with a great deal of will power who want to push themselves to their limits. That’s why CrossFit emphasizes the importance of rest days, so that the body can recover and prepare itself to be challenged once again. Some athletes ignore these cautions and push themselves too far. Some athletes who push themselves too far experience a serious medical condition called rhabdomyolysis, referred to as “Uncle Rhabdo” in the CrossFit community. The condition occurs when muscle fibers break down and are released into an athlete’s bloodstream, causing the kidneys to be poisoned. While the condition isn’t very common, it’s important to be cautious as an athlete and avoid overexertion, which can also cause other types of injuries. But don't worry! With the guidance of a Level One CrossFit Certified coach, you will be taught core mechanics first, and gradually increase intensity, which allows your body to adapt to the new style of training. It can’t be emphasized enough that beginner CrossFit athletes shouldn’t be intimidated when it comes to joining a gym and starting their CrossFit journey. Even so, from the outside, with all of its jargon and key philosophies, it’s understandable that the CrossFit would could seem like a difficult one to break into. 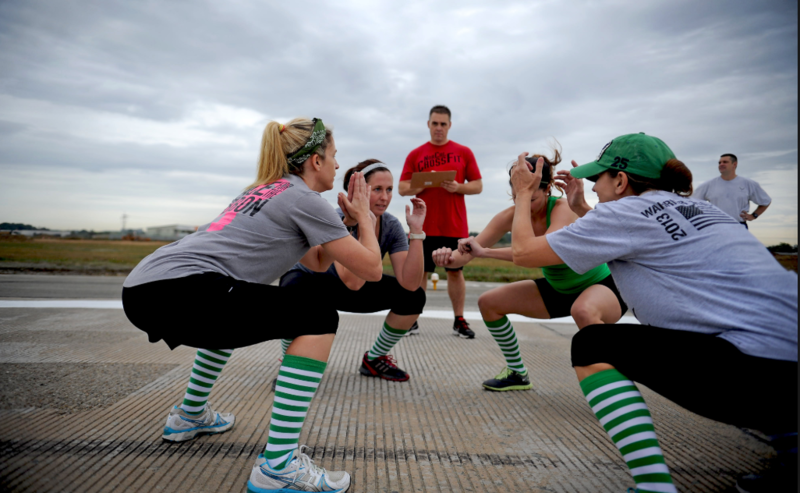 When it comes to understanding CrossFit Lingo, we’ve got you covered with this guide. 1. Don’t go too fast! If you don’t have a lot of experience, you will probably begin to see results relatively quickly. Make sure you keep everything in perspective and allow yourself to rest. You have plenty of time to get stronger and more fit. Whether you need help with form or flat out don’t know what a specific movement is, just ask. CrossFit coaches are a dedicated bunch, and they are there to help you grow and improve as an athlete. Most coaches also have plenty of experience working with beginners. CrossFit can be challenging at first. Well, actually, it stays challenging, but the initial challenge is the hardest part to overcome. Stick with it! It will make you a better athlete and a healthier person. What’s the Best CrossFit Gear for New Athletes? Believe it or not, you don’t need to purchase a whole new workout wardrobe before you attend your first CrossFit class. In fact, you never have to, unless you want to. Sure, plenty of brands out there design CrossFit-specific workout gear. Will it really move the needle significantly in making you stronger, fitter and healthier? Probably not. Shoes are one area where you may want to make an exception. CrossFit shoes have minimal, if any drop, whereas the traditional running shoes you probably have in your closet place the heel higher than the ball of the foot. A minimal or zero-drop shoe is considered to be more natural when it comes to your bio-mechanics, and can lead to a feeling of greater stability when you are working out. In other words, less padding means that your foot will be level from heel to toe, and humans are designed that way for a reason! Having less drop on your shoe will help you have better form in some of the most common lifts in CrossFit, such as squats. Can’t wait until your first class? No problem. The great thing about CrossFit is that you can practice many of the key movements and workouts in your own home, at your gym, or outside. CrossFit gyms are equipped with the best of the best when it comes to equipment, and a community to cheer you on. You may be feeling eager for your first workout and want to know what to expect. We don’t blame you! Keep in mind while you work on these movements that form is absolutely crucial. 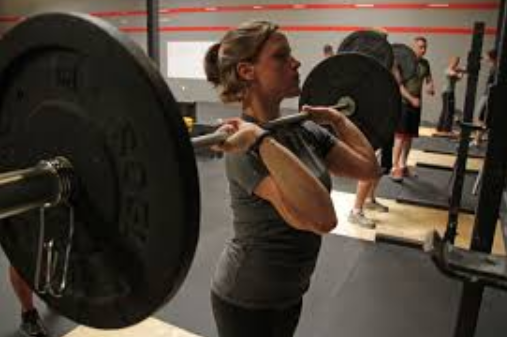 You won’t impress your CrossFit coaches by lifting the most weight or doing the most squats with improper form. When you practice movements, the goal is to get you more familiar with how to do them correctly so that you can incorporate them effectively into CrossFit workouts. 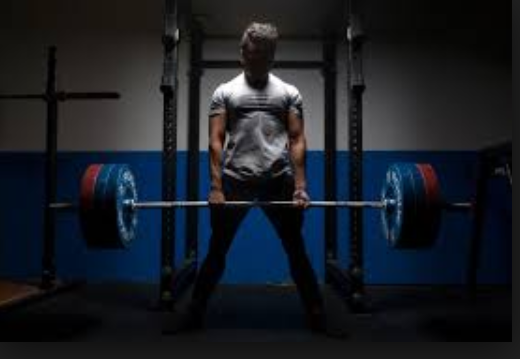 A deadlift is a common power lift. It’s a great way of gauging overall strength, and it’s hard work for the whole body. 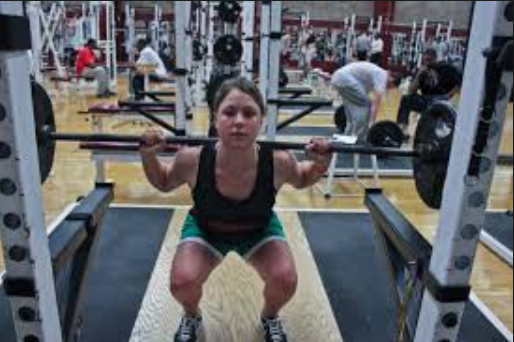 Athletes are torn on whether they enjoy squatting or not. If you’re going to be a dedicated CrossFitter, you’re going to need to start enjoying it, because it’s crucial in many workouts. 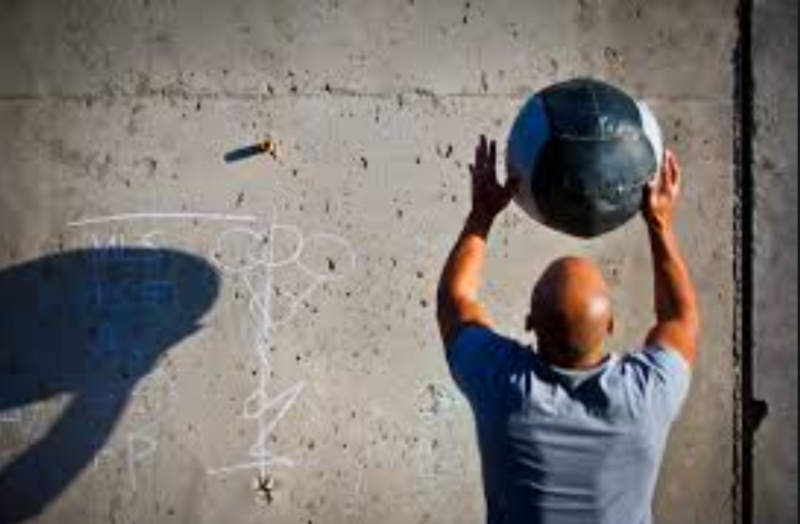 Wall balls look deceivingly simple, but they can be quite the challenge, especially when you’re doing many of them in a short amount of time. Get ready to sweat! You can practice these at your gym, or even on a pull up bar at home. 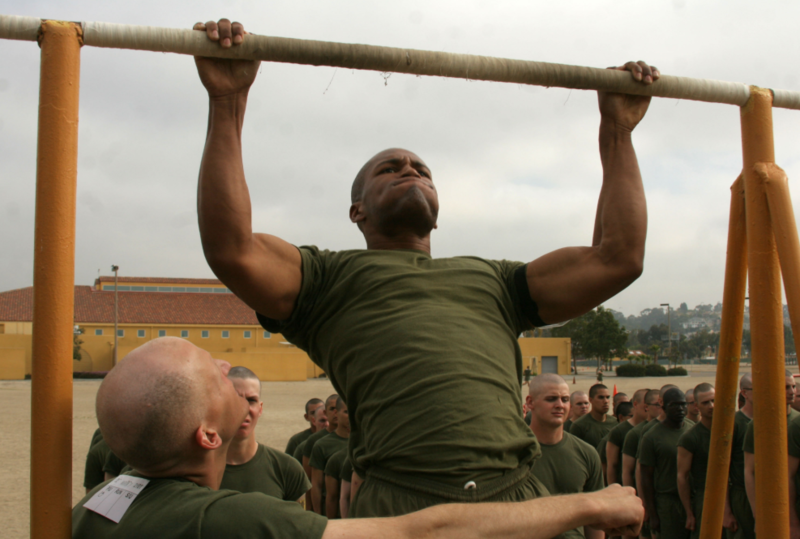 Pull ups, and the more difficult muscle up, for more advanced athletes, are important parts of many CrossFit workouts. Don’t be scared of hitting your shins on the edge of the box. You can do it! 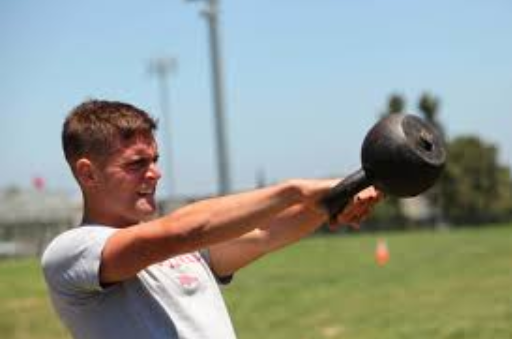 Kettlebell swings are another great way to engage various muscles in the body. Most gyms have kettlebells, so you can find an open space and swing away! All you need is a barbell, some weights and a decent amount of space. Work those shoulders! Here are some movements to practice that don’t require weights! 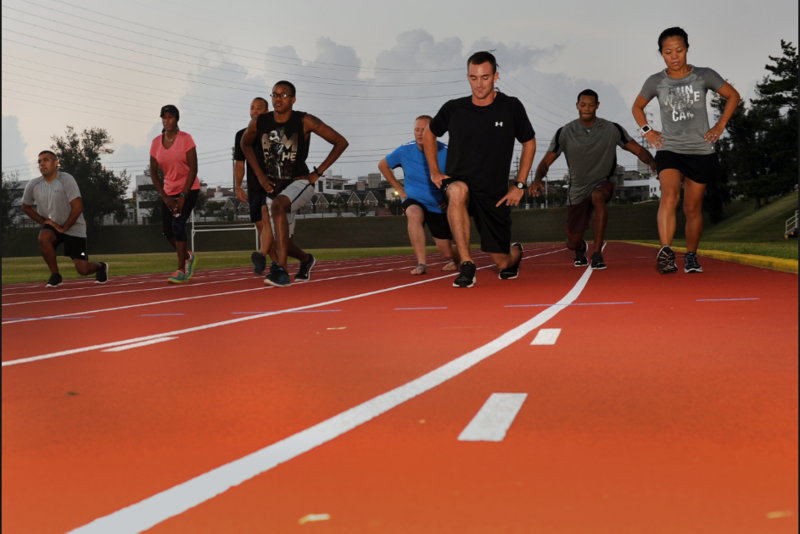 Try a 400 meter sprint or a one mile run. You will be running in CrossFit, but the distances and timing will never be the same. 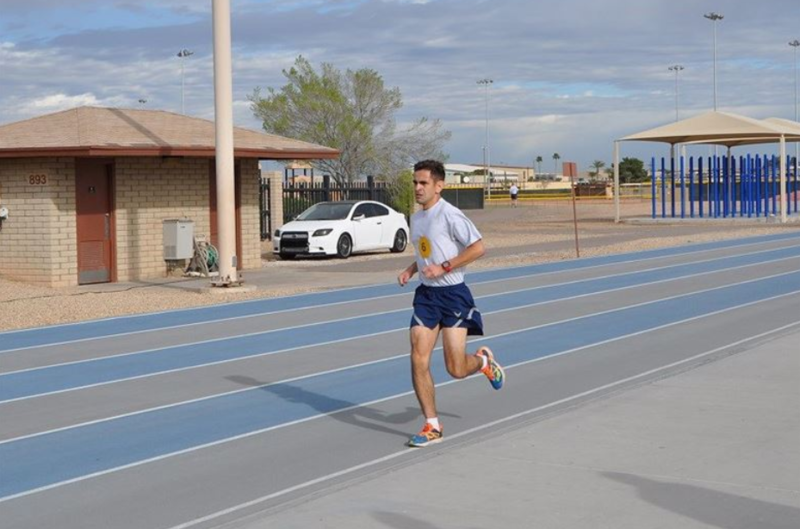 Get yourself acquainted with multiple distances at high intensity. It will work wonders on your cardiovascular preparedness. If you haven’t tried unweighted lunges before, you will be surprised by how challenging they are. Try lunging all the way around a soccer field. You will be exhausted halfway through. Chances are you know how to do a push-up, but your form may not be ideal. Work on perfecting that form, because you will be doing a lot of them soon! A common component of many CrossFit workouts, air squats will tire you out, and they aren’t even weighted! Give it a try in between other movements and you’ll see. Nobody loves doing burpees (if you do, please let us know!) but they are a vital part of many CrossFit workouts because they combine a bodyweight exercise with intense cardiovascular work. It’s not really CrossFit unless these key movements are being combined in a way that is varied, timed and challenging for your body. Going to the gym every day and going through the same movements without timing yourself will help you master those movements, but it will not challenge you, as the movements will become easier with time. Now that you feel more comfortable with the movements, let’s take this to the next level. Here are some sample WODs you can try out at the park or at your gym! In 10 minutes, repeat the cycle of 5 pull ups, 10 push ups and 15 air squats as many times as possible. For 8 minutes, alternate push-ups and lunges. 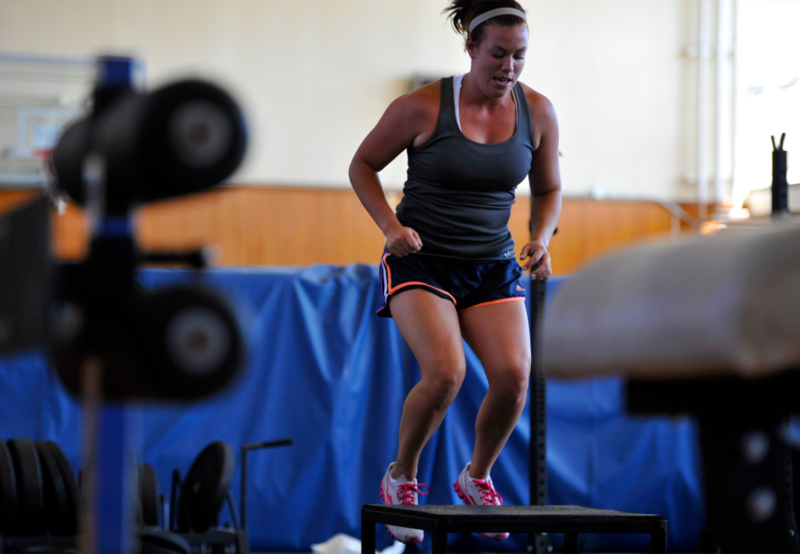 Tabata means that you will do one of the movements for 20 seconds before pausing for 10 and then moving on to the next. This is a more intense one, but it doesn’t require any weights and you can lower your reps until you feel more comfortable. The Bert is a Hero WOD, meaning it honors a fallen Hero. This one is named after U.S. Marine Cpl. Albert Gettings, who died while conducting counter-sniper operations in Fallujah, Iraq. 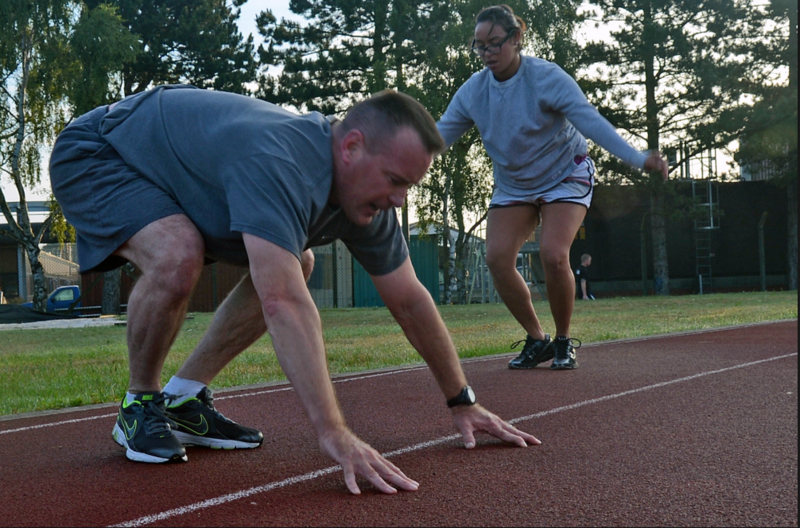 Every quarter, Cpl, Gettings' fellow Marines in Fox Company complete a special CrossFit workout to honor him. Thinking About Becoming a CrossFit Athlete? If you feel like you may want to try out CrossFit, we urge you to take the plunge! Most gyms offer a trial or assessment period, or even a few free classes, and that’s a great way to find a gym where you feel comfortable while keeping costs reasonable if you’re unsure how much you’ll enjoy the experience. 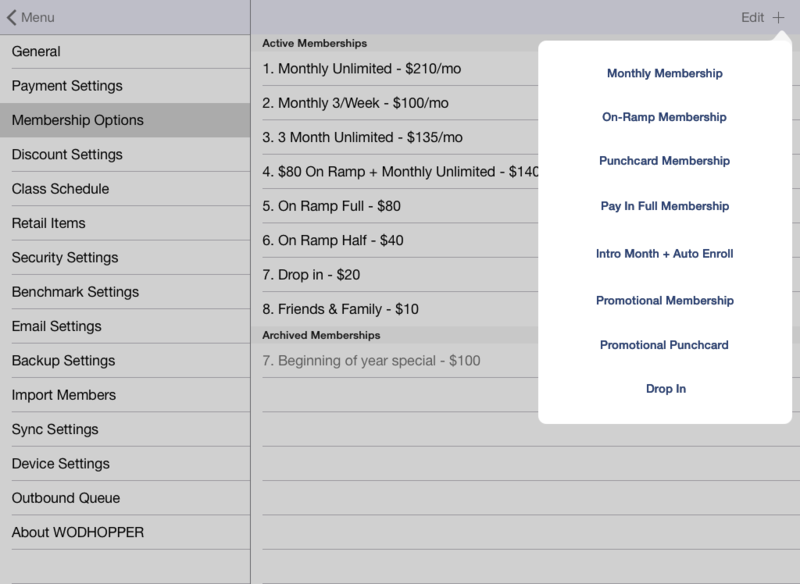 Many gyms also offer a foundations program for beginners. That means you won’t be tossed into a class of experts and expected to know all of the lifts and movements, or to keep up! In CrossFit, everyone learns at their own pace, and coaches will support you every step of the way. If you live in New York City, Chicago or Orlando, you’re in luck! We’ve created a guide to the top CrossFit gyms in all of those cities. That’s a great place to start if you’re searching for a gym! If not, follow us of Facebook and you’ll be the first to know when we release the lists of top gyms in additional cities!